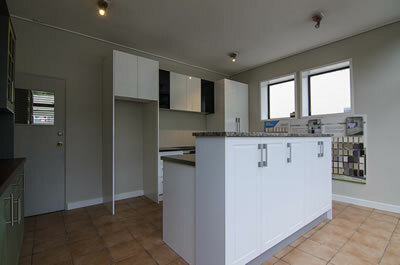 Potters Kitchens is a joinery business located in Lower Hutt, New Zealand. We offer a full range of services from design and manufacture through to installation. Although specialising in kitchen joinery, we also offer a range of domestic and commercial joinery including stairs, reception counters and shop fit-outs. Potters Kitchens is a family business operated by Brent Potter who brings over 25 years experience to the business. Brent is passionate about quality and aims to give our customers high quality joinery and related services at affordable prices. Our focus is to provide joinery that is modern and stylish but also practical. In a market becoming saturated with cheap, poor quality kitchen products, we believe it is important to retain that emphasis on quality and durability to ensure our customer’s kitchens continue to look great for many years. View our profile on houzz: a platform for home renovation and design.